Introduction. Data Foundations. Human Perception and Information Processing. Visualization Foundations. Visualization Techniques for Spatial Data. Visualization Techniques for Geospatial Data. Visualization Techniques for Multivariate Data. 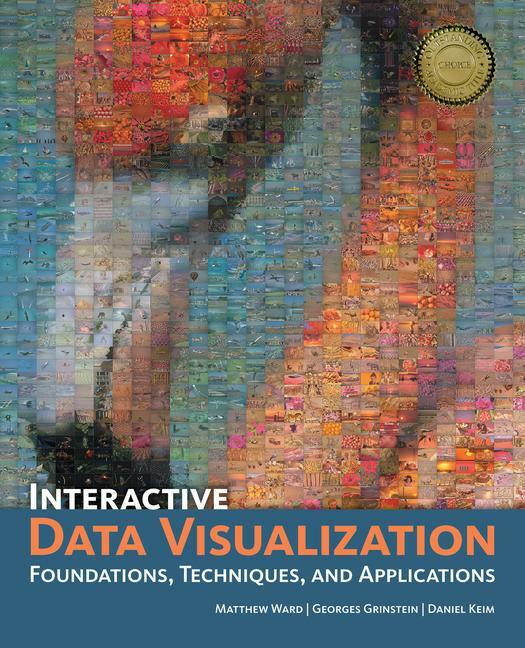 Visualization Techniques for Trees, Graphs, and Networks. Text and Document Visualization. Interaction Concepts. Interaction Techniques. Designing Effective Visualizations. Comparing and Evaluating Visualization Techniques. Visualization Systems. Research Directions in Visualization. Matthew O. Ward is professor of Computer Science at Worcester Polytechnic Institute (WPI) in Worcester, MA. He has been an associate editor for IEEE Transactions on Visualization and Computer Graphics since 2006. Georges Grinstein is professor of Computer Science at the University of Massachusetts Lowell. He is the head of the Bioinformatics Program and codirector of the Institute for Visualization and Perception Research and the Center for Biomolecular and Medical Informatics. Daniel Keim is full professor and head of the Information and Visualization and Data Analysis Research Group at the University of Konstanz, Germany. He has been an associate editor of Information Visualization since 2001 and knowledge and Information Systems since 2006.